A new governor, MBA students, and a homeless guy. 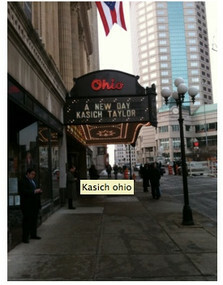 ​Yesterday I attended the 69th inauguration of a governor in Ohio, this time for Gov. John Kasich. His personal brand is immutable: he’s driven by a higher force, is fiercely devoted to his family, and is determined to not let special interests get in the way of fixing Ohio (we have a $10 billion deficit). His inauguration speech was a true extension of his convictions, telling small visual vignettes along the way that make his larger message memorable. ​OSU Fisher College of Business – MBA Personal Branding Seminar from Articulation on Vimeo. This comes comes on the heels of a half-day workshop I attended two days ago at the Fisher College of Business at the Ohio State University: A personal branding workshop for the first-year MBA students. Instructor and Innovation maven Mike Bills conducted this seminar to help assure that these students thought hard about what was their driving force, passions and characteristics so that when it comes down to selling themselves for a job, they aren’t just ‘speaking to the spec’ but really sharing what’s fueling their fire. (In February I get the privilege of teaching the follow-up seminar on bridging your brand to your story for these talented students). And last week in Columbus, we had the international spotlight blazing in our faces over a homeless guy with a golden voice named Ted Williams. 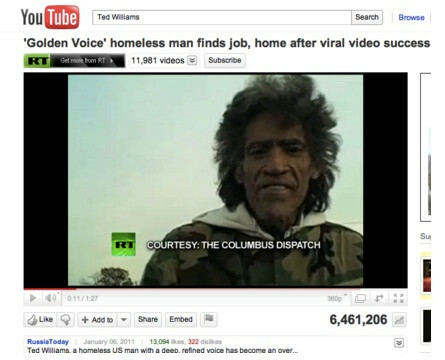 A neighbor and Dispatch photographer Doral Chenoweth videotaped him at the side of a freeway sharing his deep, amazingly trained voice talent – only after stopping because the sign on the cardboard sheath read: “I have a golden voice.” Within a day he was being flown to appear on the Today Show and has job offers out of the woodwork. On the surface, they all have nothing in common. The MBA students live here but many aren’t residents. Ted Williams couldn’t even prove last week that he was indeed a resident of Ohio. And yet John Kasich is not our most famous resident — as his inaugural address was indeed heard about 99% less than the Ted Williams video on Youtube. But they have one important common bond: a personal brand that is expressed through a very unique story or narrative. Just to know what you like and what you want to do is one thing. To know how to bridge it into compelling ‘proof points,’ as Mike Bills would say or ‘defense’ as my collegue Wendy Hardman would claim is different. How do you extract the most critical examples that allow visualization and distinctiveness in your brand is what will be remembered. So do you know your story? And better yet, can you tell it?